The reasons for laminitis in horses are complex. 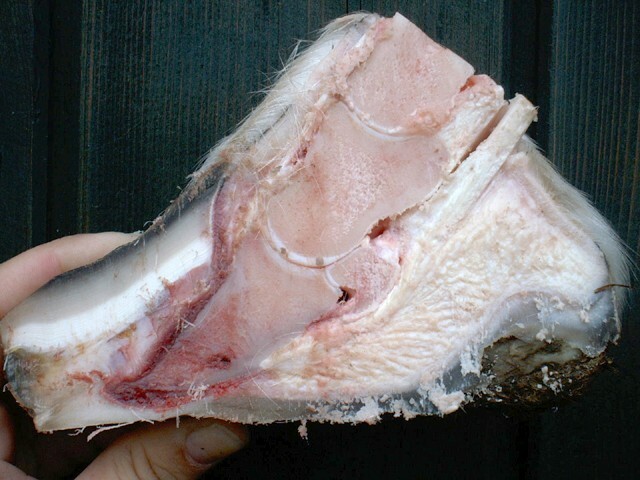 Laminitis is a sterile diffuse inflammation of the hoof corium often caused by systemic disorders. Main and well known etiologies are overexertion, certain intoxications, difficulties with birthing, Cushing or the Equine Metabolic Syndrome (EMS). Most of these diseases lead to increased blood sugar, toxic substances in the blood or hormonal imbalances. The immune system of your horse falls into a tailspin and provokes generalized inflammatory symptoms. Thereby the complicated mechanism of hoof growth and its fixation is destroyed. In these cases immunology shows promising approaches for treatment. Keeping and nutrition improvements and special care with the hoof optimize the treatment and shouldn’t be left out.